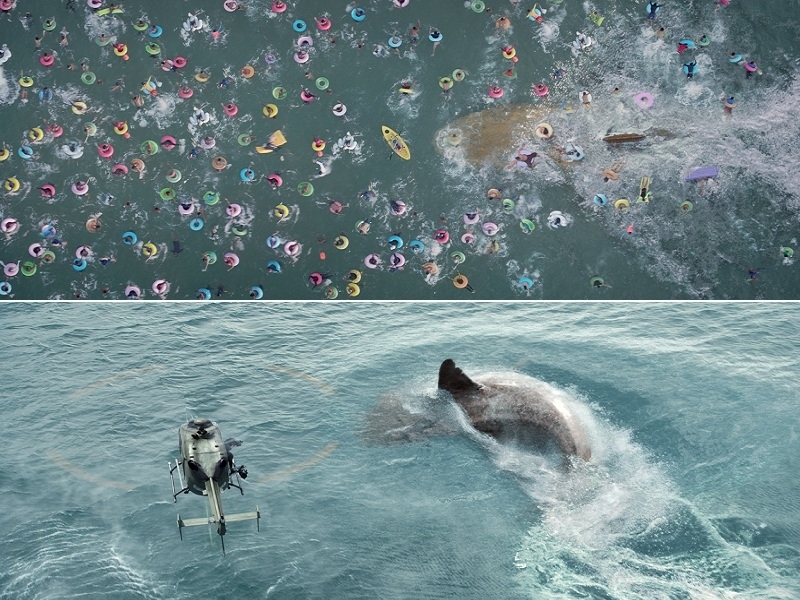 USPA NEWS - THE MEG is a 2018 Science Fiction Thriller Film loosely based on the 1997 Book Meg : A Novel of Deep Terror by Steve Alten. 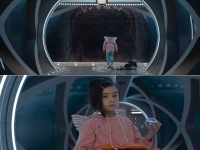 THE MEG is a 2018 Science Fiction Thriller Film loosely based on the 1997 Book Meg : A Novel of Deep Terror by Steve Alten. 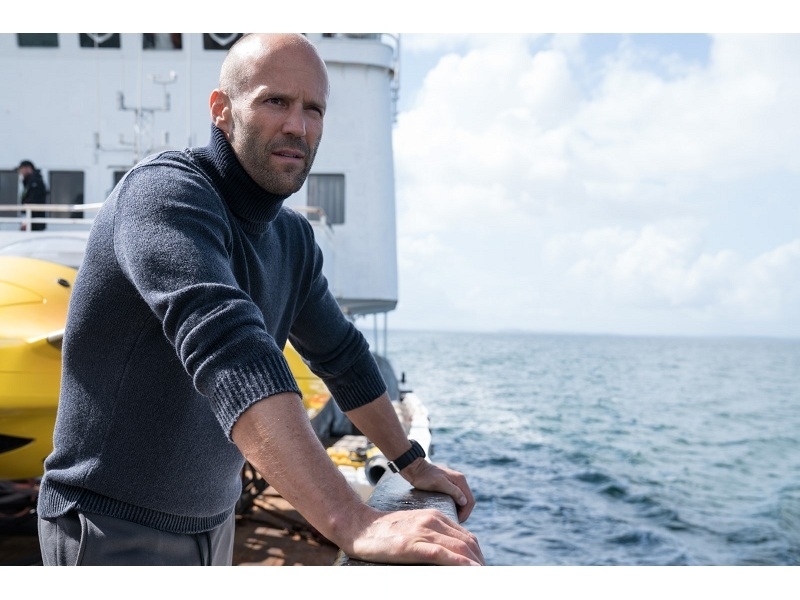 Jonas Taylor (Jason Statham), a Rescue Diver, attempts to save a Group of Scientists trapped inside a Nuclear Submarine. As he is rescuing the Last Survivor, he sees the Hull of the Submarine being rammed in by an Unknown Creature. When he returns to the Rescue Vessel, Two of his Crew are stuck in the Damaged Submarine. 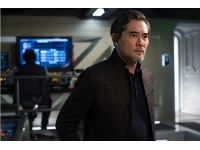 Jonas Taylor decides to leave, realizing that finishing the Rescue would result in the Death of Everyone.... Five Years Later, Billionaire Jack Morris (Rainn Wilson) meets Dr. Minway Zhang (Winston Chao) at the Underwater Research Facility "Mana One", which Morris finances. 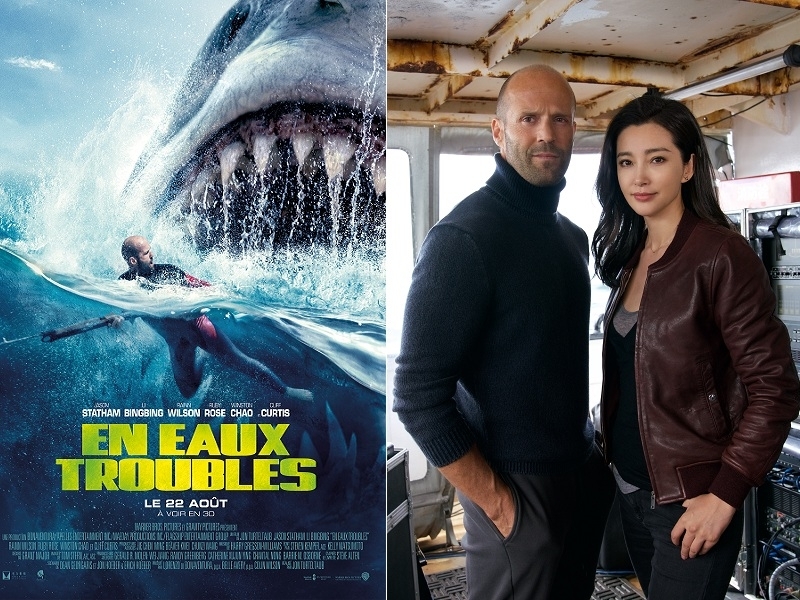 Zhang and his Daughter, Suyin (Li Bingbing) , an Oceanographer, are supervising a Mission to explore what may be an even deeper Section of the Marianas Trench concealed by a Cloud of Hydrogen Sulfide, forming a Thermocline. 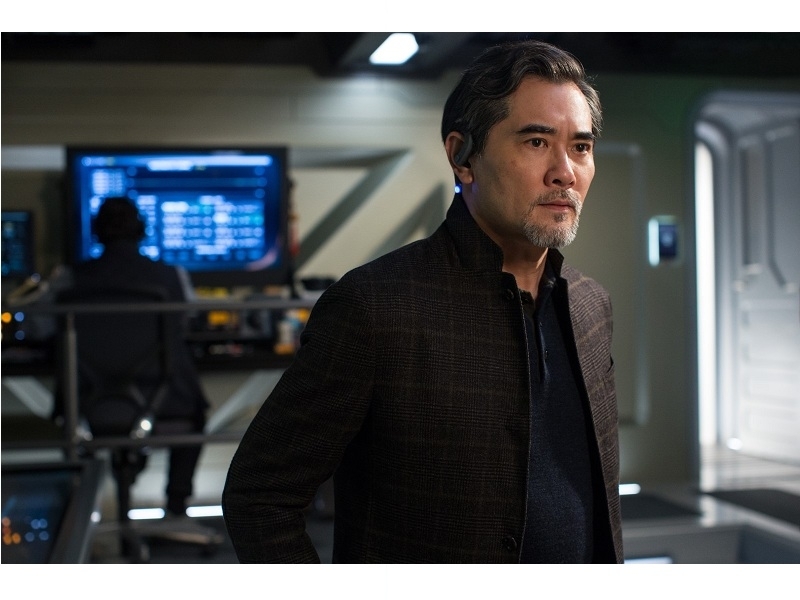 The Mission is being conducted by Lori (Jessica McNamee), Toshi (Masi Oka), and The Wall (Ólafur Darri Ólafsson) in a Submersible. 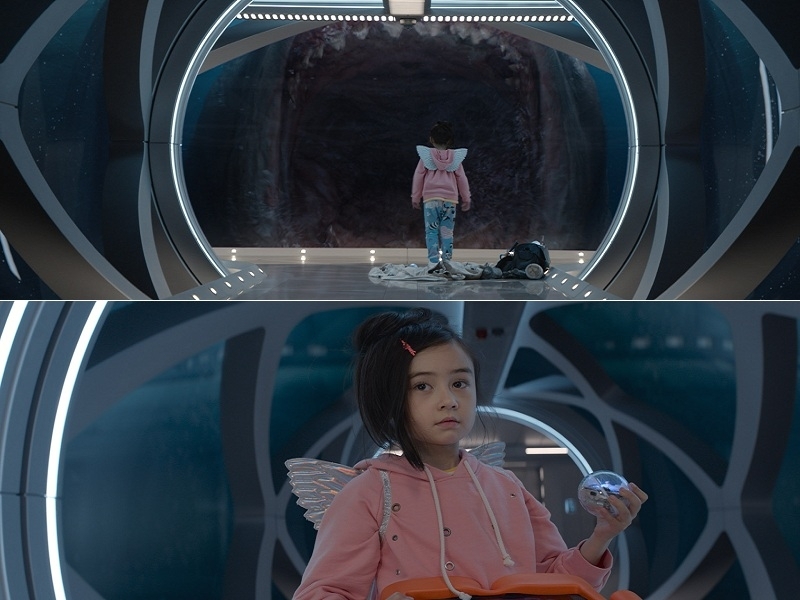 Cliff CURTIS - "The Meg"
Jason STATHAM - "The Meg"
Winston CHAO - "The Meg"
Sophia CAI - "The Meg"
In The Meg, Jason Statham’s Target is a 70ft Prehistoric Shark, or Megalodon, hitherto imprisoned under an Icy Barrier of Hydrogen Sulphide in an Ocean Realm deeper than the Mariana Trench. 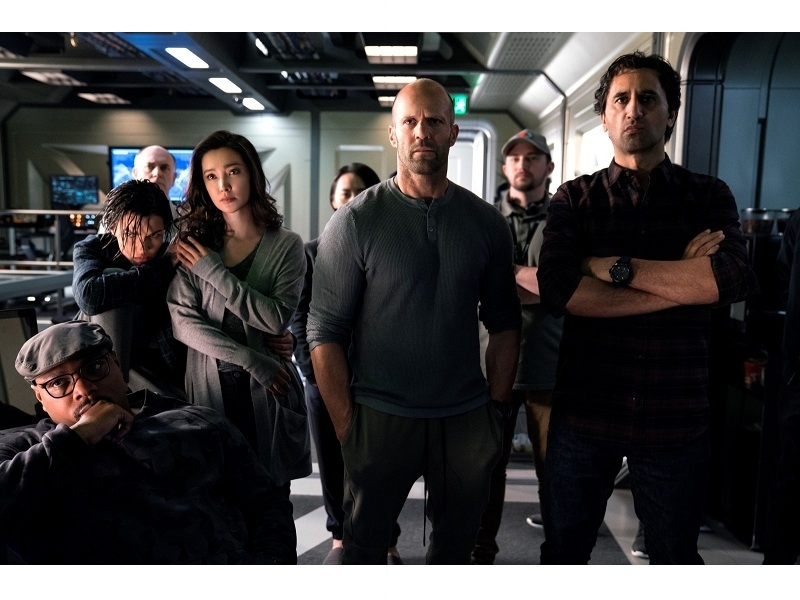 While Rainn Wilson seems to be having fun, as the Billionaire Benefactor behind the Project, most of the Cast, from Cliff Curtis to Li Bingbing, are saddled with roles that can be described as Archetypes. 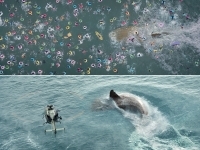 Hollywood has produced Plenty of Shark Movies since “Jaws,” but “Meg” was stuck in Development Hell for more than Two Decades (Disney originally purchased the Film Rights to the Book in the 1990s, but after Several Years the Rights landed at Warner Bros). The Film can play Fast and Loose with the Laws of Deep-Water Biology all it wants and still be carried by the Jaunty Charm of its Lead Actor. Like Dwayne Johnson (The Rock), Jason Statham is a Persuasive Action Star who is also in on the Joke of being an Action Star. It’s perhaps the Key to his Appeal. That and the Upper-Body Muscle Definition... “The Meg” is a Part-Chinese Production that’s looking to the Middle Kingdom to help shore up Box Office.... Also, Speaking of "Jaws", Jon Turteltaub knows that Comparisons are inevitable and so wisely, one Shark Cage Moment aside, largely gives Steven Spielberg’s classic a Swerve.